Gothenburg, Sweden. 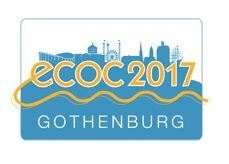 26 June 2017: Google, Nokia Bell Labs, ZTE and Huawei have been announced to join the agenda for ECOC Conference – the largest conference on optical communication in Europe – taking place September 17th – 21st in Gothenburg, Sweden. Co-located with ECOC Exhibition, the conference will see workshops, tutorials and plenary speeches from some of the biggest known optical and technology companies in the world. From professors in UK and Turkey to engineers and directors in USA and Denmark, the agenda will cover the full width of component, system and network technologies relating to fibre optic communications. Dr. Bikash Koley, the Director of Network Architecture, Engineering and Planning at Google, will be discussing the importance of software defined networks in his keynote, and how this is implemented at Google. Other plenary speakers include: Professor Anne L’Huillier of the Nobel Prize committee, who will explore ’50 years of Nobel Prizes in Photonics’; Professor Philip Diamond, Director General of the Square Kilometre Array (SKA), who will tell in detail the critical role that optical fibre systems will play in enabling SKA – which will be the largest scientific project in Earth once completed; and Kazuo Hagimoto, who will analyze the past, present and future of optical communications. Many top industry gurus will be on-hand to provide their insight on new and ongoing trends. From a construction perspective, IBM’s Benjamin Lee will explore silicon photonic switching in technology and architecture through his Datacom and Computercom hardware tutorial. Similarly, Nicolas Fontaine of Nokia Bell Labs will discuss the components and subsystems for mode-division multiplexed systems and optical network elements. The conference will also include a blend of workshops and tutorials on the road to 5G, constellation shaping, optical wireless communication and the right path for PON beyond 10G single wavelength, among others. “ECOC 2017 will continue to inspire countries across the world to improve their fibre, and this year it reflects the Nordic ambition as a well-known hub of innovation. We are confident that this is going to be a year of great speakers and provide interesting as well as valuable information,” concluded Per. Along with the conference, a special two-day pre-ECOC symposium will be hosted at the Technical University of Denmark in Copenhagen on September 14th, addressing major ECOC-related research efforts worldwide. This will include EU and overseas research strategies, and the symposium will also offer transport for attendees straight to Gothenburg after it ends. The ECOC Conference is organised jointly by Chalmers University of Technology, RISE Acreo and the Technical University of Denmark, with Ericsson and Telia Company as guarantors. If you are interested in becoming an ECOC Conference sponsor, please visit http://ecoc2017.org/sponsorship/.